Scout Troop 388 is an active and vital Boy Scout Troop that has been serving Texas youth and the local community since 1961. We are sponsored by South Main Baptist Church located on the Beltway near Fairmont in the City of Pasadena, Texas. The Troop currently has about 45 scouts, with homes in Pasadena, Deer Park, Houston, La Porte, and Clear Lake, boys from many faiths and backgrounds. Membership to the Troop is simple: If you are age eleven through seventeen, or if you are 10 years old and have completed the 5th Grade, or earned your Cub Scout Arrow of Light, you can be a Boy Scout. If you are scout age, please stop by one of our meetings and learn more. Please come by a meeting or call us at 832-647-9302 to find out more about Scouting and our Troop. 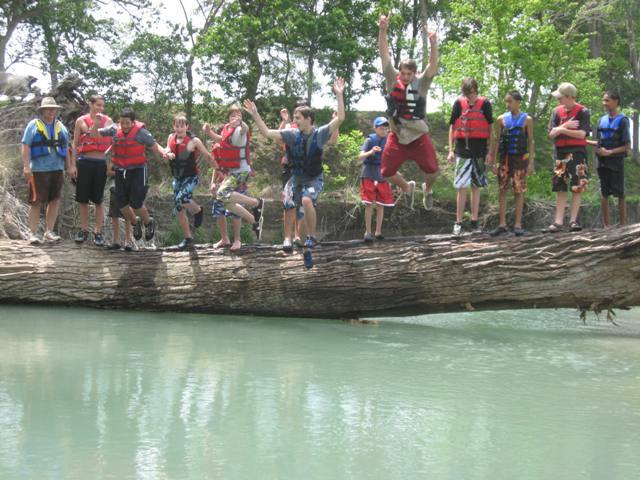 Troop 388 offers monthly camping opportunities, special events, community service projects, a “High Adventure” special camping and activity program for scouts over the age of 13, that is in addition to their regular program, leadership training, and a troop structure that fully supports youth leadership. At 388 our scouts select the camping locations, extra activities, summer camp, and monthly meeting themes, as well as run their own meetings and plan the campouts that they have picked. Troop 388 is supported by a very large group of parents of current and graduated scouts. We have former Cub Masters, Den Leaders, Scoutmasters, teachers from the Pasadena and La Porte School Districts, and parents who are doctors, engineers, office managers, accountants, business leaders, mechanics, clerks, restaurant managers, and from many more areas, all bringing a background of knowledge, diverse skills, and support for our scouts if needed. Our adults are all registered with the Boy Scouts of America and trained to work with youth. At Troop 388 scouts are provided with a comfortable and safe meeting location, freedom to run their own troop, abundant trained and skilled adult supervision and support when needed, an active and varied outdoor program, a high adventure program to challenge their abilities and test their new skills, and the chance to advance through Boy Scouting to the rank of Eagle. And the opportunity to follow the Scout Oath throughout their lives: On my honor, I’ll do my best to do my duty to God and my country, to obey the scout law, help other people at all times, keep myself physically strong, mentally awake, and morally straight.